I am currently conducting field studies of the soniferous behavior of the striped cusk-eel, Ophidion marginatum, to complement a laboratory study made by myself and Jeanette Bowers-Altman some time ago. Recently I discovered that striped cusk-eels are abundant on Cape Cod, while monitoring fish sounds during my Survey of soniferous fishes on Cape Cod, I recently discovered that striped cusk-eels are abundant on Cape Cod. According to the literature, the species is thought to be a rare stray to the Cape. Ongoing observations, however, suggest a large resident population. This page is a continued work in progress. Additional clips and video will be added as they are processed during my field studies. 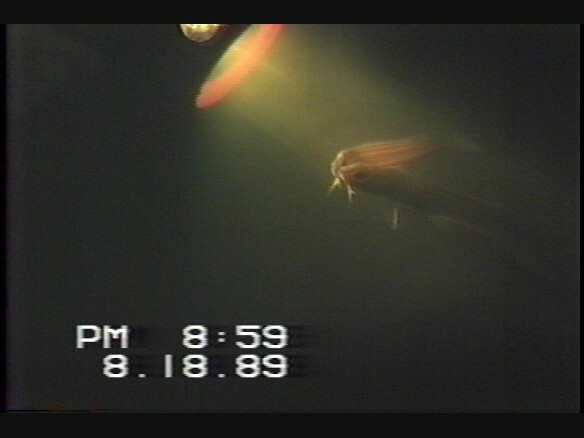 During the summer and fall of 1989 Jeanette Bowers-Altman and myself had the oportunaty to observe spawning behavior of striped cusk-eels. As part of this small side project, we recorded cusk-eel sounds with a standard tape recorder (in air), observed their behavior, made one video tape, and hatched the eggs. This study resulted in two publications. It also provided larval specimens that allowed Mike Fahay to distinghuish among Mid Atlantic Bight Ophidiidae, and contributed to his publication. 1) Fahay, M.P. 1992. Development and distribution of cusk eel eggs and larvae in the middle Atlantic Bight with a description of Ophidion robinsi n.sp. (Teleostei: Ophidiidae). Copeia 1992(3):799-819. 2) Mann, D.A., J. Bowers-Altman, and R.A. Rountree. 1997. Sounds produced by the striped cusk-eel Ophidion marginatum (Ophidiidae) during courtship and spawning. Copeia 1997(3):610-612. 4) Rountree, R.A. and J. Bowers-Altman. 2001. Soniferous behavior of the striped cusk-eel, Ophidion marginatum, and other coastal marine fishes based on preliminary laboratory and field observations. Poster presented the conference: Bioacoustics of Fishes: sensory biology, behavior, and practical applications. May 30-June 2, 2001, Chicago, IL. This page provides photos, video and audio clips of striped cusk-eel behavior. NEW!! I have redigitized the movie clips which can now be downloaded as wmv files. 1) Cusk-eels spawning - silent film made with a camcorder during August 1989. At the end of the clip you can see the egg mass still protruding from the female's vent. 2) Cusk-eel egg mass - the egg mass is clear, positively buoyant, and is about the same size as a ctenophore possibly accounting for its not being noticed in fish egg surveys. 3) Sounds of cusk-eels recorded in the laboratory in August 1989. Sounds were recorded in air with a conventional tape recorder. A. Click here to view an old NURC proposal to study cusk-eel soniferous behavior. Although the study was not funded, the proposal provides some useful information. B. I've recently made some field recordings of cusk-eel chorusing in the Great Bay estuary of southern NJ. 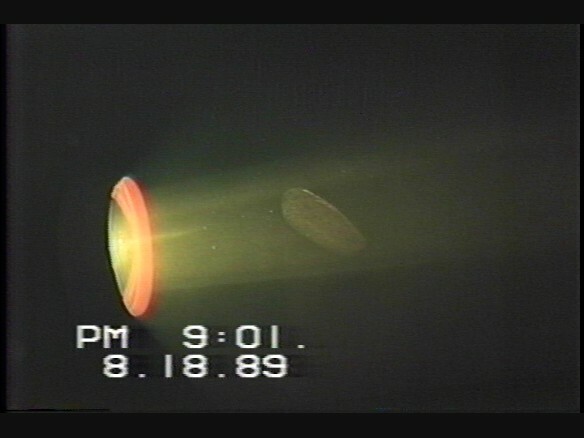 Here are three sound clips taken on August 5, 2000. First., Second and third clips. As part of my field study to survey soniferous fishes of Cape Cod, I have discovered that striped cusk-eels are unexpectedly abundant on the Cape. I have been collecting data on the spatial and temporal distribution of their calls since early June and will continue through the fall. Findings from this study will be posted at a later date. Much more to be added soon (I hope).